Here is a photo of my friend Cris taken in my apartment's rooftop. 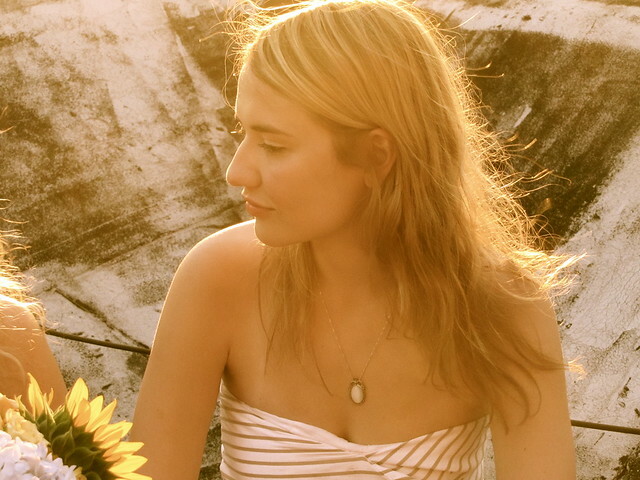 The sunflower heads toward her and it feels like it lightens her face; she looks so natural and pretty. 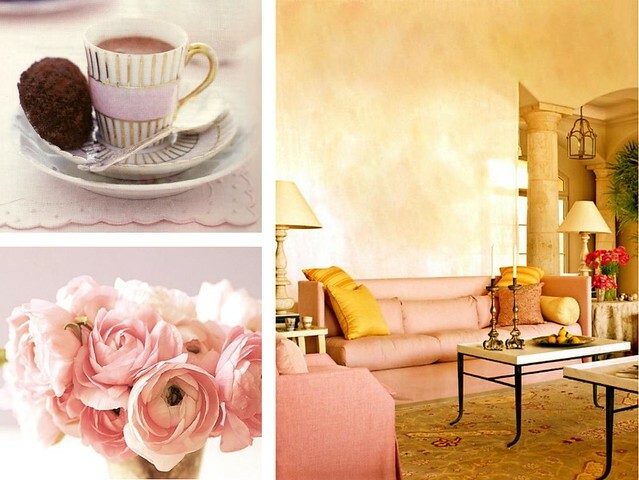 This photo then inspired me to come up with a collage of photos that remind of a warm summer afternoon: Turkish coffee, pink flowers and a cozy living room (pink, of course!). Living room via Veranda Magazine. site!І guess its good enoսgh to use a feew of yߋur ideas! !